→What Are the Top Benefits of Using a Multimeter? 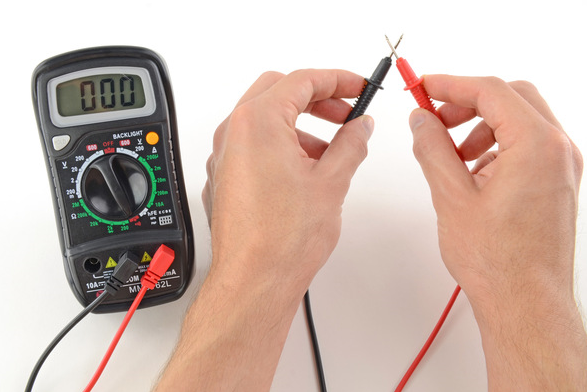 Volt-Ohm-Milliammeter (VOM) or multimeters are an extremely useful testing for troubleshooting electrical connection and circuit issues. Although most multimeters are designed to measure basic circuit characteristics such as resistance, voltage, and current, many up-to-date models are capable of doing much more. Both analog and digital multimeters have their fair share of pros and cons. However, for the ease of ease and precision reading, digital multimeters are more widely used than its analog counterpart. Below we have listed the top benefits and features of using a multimeter to help you determine whether you should invest in a multimeter. 1. Provides high output impedance. 2. DMMs reduce interpolation errors and are more accurate than analog multimeters. 3. Zero adjustment is not needed in DMM. 7. Lets you measure time and frequency. 8. Used for voltage, current and resistance measurement. 9. Tests meter loading effect on electrical circuits. 12. Portable size and thus, easy to carry and maneuver. 13. Allows advanced measurements such as capacitance and inductance. A multimeter, more specifically, a digital multimeter, is known for its high accuracy. It can show readings in 4 decimal places. As far as the fluctuation is concerned, as long as it is within the tool’s range of fluctuation, it should be okay. Even for a newbie, gauging the readings is not a big deal after a little bit of practice. A DMM uses a 7 segment display to automatically show the results on the LCD screen. You don’t have to pay attention to the position of the needle pointer on the scale to read values like we do on analog multimeters. One of the best features of digital multimeters is that it can read both positive and negative values. The ability to read negative values comes handy especially while measuring voltage. In fact, connect probes into the test circuit of opposite polarity is also very convenient with digital multimeters. 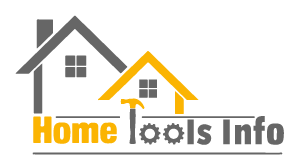 Multimeters are extensively used by both technicians and DIY folks for finding out if the circuit is AC or DC. To test the difference voltage on multiple locations of a circuit, use the test probes. Make sure to adjust your multimeter to zero after tweaking the resistance range to avoid inaccurate readings. You can check the resistance by using diodes. The diode check feature in a multimeter lets you determine where the diode should go in the circuit. While measuring the current, like voltage, always start from the highest available range and work your way down until you find out the desired range. This feature helps you check for any broken wire or loose connection in an electronic device. The multimeter will release a beep sound if everything is alright while you are soldering wires. A multimeter can measure the duty cycle of a sine wave in order to look for any distortion in the connection. To test the capacitance, first, make sure that the capacitor is fully charged. Your current range has to match the range of the capacitor. You will observe different results based on whether your capacitor is good, open or short. Apart from the ones we mentioned above, up-to-date multimeter models are also used by professionals for its graphic function, data logging, in weather station for internal temperature measurement, for frequency checks and the list goes on. Hopefully, this article explains the ‘Multi” in the name of this versatile instrument. From checking minor faulty connections to troubleshooting complex circuit issues, a multimeter does it all and much more. The best way to ensure a worthwhile investment is to consider your specific needs and choose a product accordingly. If you need help narrowing down the options, you can refer to our article on the best multimeters.